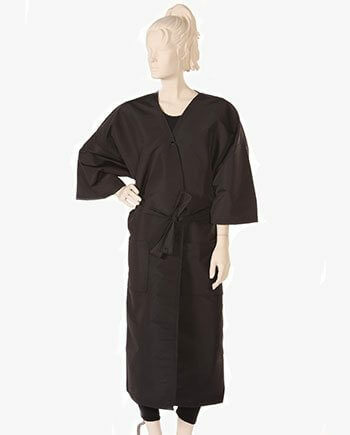 Salon kimono client gown in black. Featuring Silkara nylon fabric that is water, stain and color resistant. Comfortable one size fits most with a top snap and belt with 2 pockets. Our salon client gown is the best in the industry! All of our gowns are full sized to fit most to all of your clients. 3/4 length sleeve with 1 signature snap on the top with belt loops and a belt sewn securely into the back seam so it will not come off in the wash. 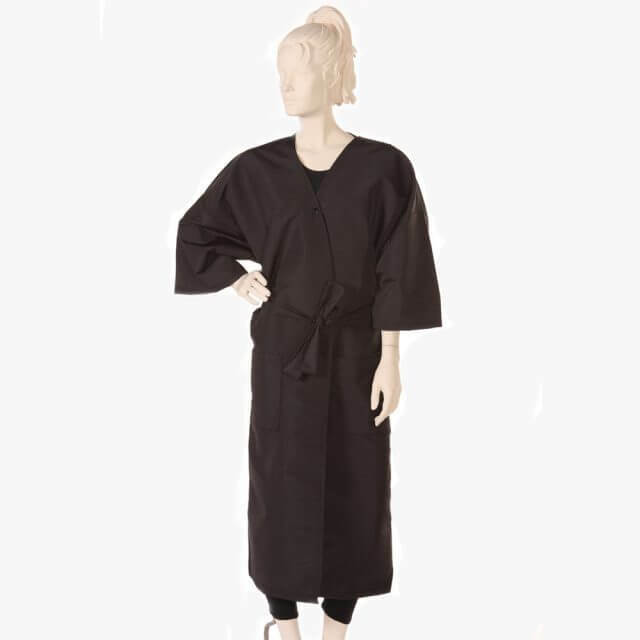 It features a wrap around robe design with drop shoulders sleeves and two patch pockets. This fashionable yet functionable salon gown for clients is a favorite best seller!